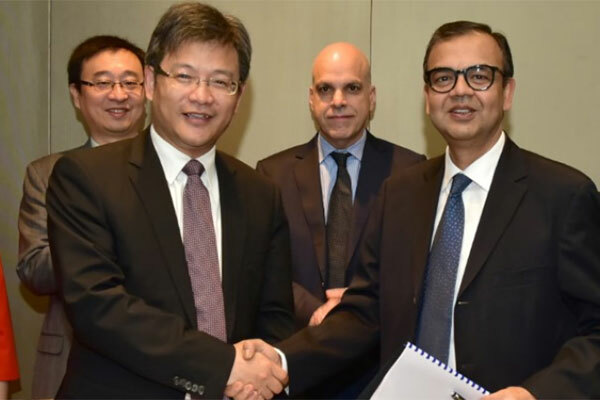 Emirates Integrated Telecommunications Company (EITC) and China Mobile International (CMI) have signed a partnership announcing that CMI will house its Point of Presence PoP at EITC’s world-class Datamena Data Centre facilities. EITC’s Datamena services will enable CMI’s Point of Presence to access the UAE and GCC Regions, as well as act as a hub point to reach the African market, reported Emirates news agency Wam. This partnership intensifies the growing diplomatic relations between the UAE and China, especially in the wake of Chinese President Xi Jinping’s three-day visit to the UAE in July, 2018 in which 13 agreements and memoranda of understanding (MoU) were signed between the two nations to strengthen partnerships across various sectors. Osman Sultan, CEO of EITC, said, "We are extremely pleased that China Mobile International has put its trust in EITC to house its mission-critical PoP at our Datamena Data Centre. Customers are at the heart of what we do and our partnership with China Mobile International further enables us to simplify how we connect customers and create new efficiencies in our business. “Through this partnership, we intend to create a new benchmark in world-class services and to serve the evolving needs of our customers. We also look forward to utilising our unique relationship with China Mobile International to better serve the Smart City 2021 agenda to create a seamless, safe, efficient and personalised city experience for all residents and visitors." The Voice Interconnect Agreement aims to provide superior and preferential international voice calling services between the UAE and China. The IPX Agreement will provide a better quality of services for Roaming customers accessing data services on Roaming. Lastly, the Machine to Machine, M2M, data connectivity, MoU allows both parties to further explore opportunities between connected devices in the UAE and China.